Don’t come up short! 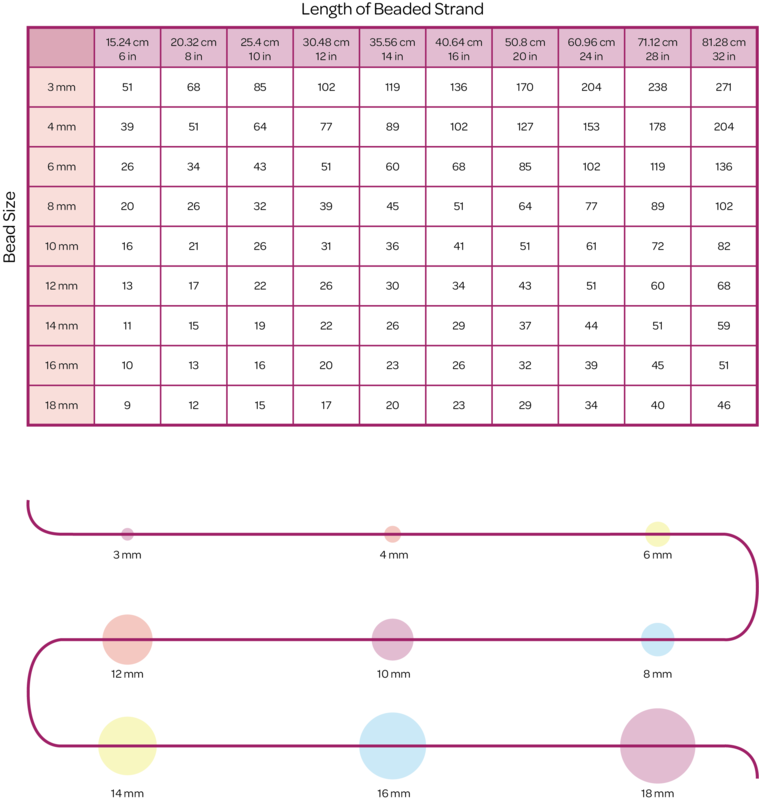 Use this chart to calculate the number of beads needed for your next piece. Choose your desired bead size from the left hand column, match it up with the desired length of your piece from the top row. It’s that easy!